RocketBoy’s first recruit is RocketGirl, a happy little girl he rescues on the planet Kul. 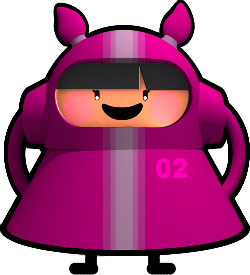 Like RocketBoy, she was a happy-go-lucky child who filled her days with fun and play. When Gordo arrived on her planet, she was determined to thwart his mean and evil efforts, but before she could mount an offensive against the monkey, she was captured and caged. Now that she is free, she is ready to take on Gordo and his robots. Follow XMG Studio on Twitter and Facebook.